With Bitcoin prices skyrocketing 1,364% from 2017 to 2018, investors are looking for the next cryptocurrencies to watch in 2018 with Bitcoin-like potential. Of course, with over 1,400 cryptocurrencies tracked on CoinMarketCap.com, that's easier said than done. 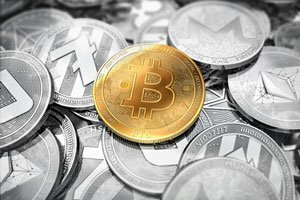 That's why we are simplifying the process of finding the best cryptocurrency investments for Money Morning readers by revealing the five cryptocurrencies on our 2018 watch list. To create our list of cryptos to watch in 2018, we only looked at tokens and coins that met three criteria. The underlying blockchain technology has to solve a problem. The coin or token has to have the potential for widespread adoption. The coin must be $10 or less, so investors can get started with an affordable initial investment and limit their risk. We developed this criteria because it weeds out entirely speculative coins and scams, leaving only coins with the potential to explode in value. Just look at Ethereum, which met all three criteria at the start of 2017. The Ethereum platform allows contracts to execute based on preapproved conditions, which solves real-world problems in finance and law. For example, take a look at the housing market. Instead of a buyer waiting for a deed and the seller waiting for funds, the deed could be instantly sent to the buyer and funds sent instantly to the seller through Ethereum. The potential to solve real-world problems and achieve widespread adoption helped ETH prices skyrocket. At the start of 2017, ETH traded for just $7.98. So for someone who held ETH from Jan. 1, 2017, to Jan. 1, 2018, that's a gain of 9,370.67% in 12 months. At just $7.98, a minimal investment wouldn't have killed your portfolio if the prices plummeted to pennies. But the profit potential was huge. This little book contains the mathematical secret for turning $500 into $1,000,000 in a short amount of time. Learn how to claim your FREE copy! The team qualified for the 2014 Winter Olympics, but brakeman Marvin Dixon revealed there wasn't enough money for the Jamaicans to travel to Russia. When members of the Dogecoin (DOGE) heard about this, they wanted to help out. The price of Bitcoin could climb to $1 million just as easily as it could fall to pennies. That's why you should never invest more than you can afford to lose. But there are long-term profit opportunities investing in the right cryptocurrencies, like the 1,364% gain Bitcoin holders saw from 2017 to 2018. That's why we wanted to provide our readers with this guide on how to buy their first bitcoin. Dogecoin was created in 2013 by Jackson Palmer, and it's marketed as a friendly and fun Internet currency on its website. The DOGE community rallied together and raised $36,000 worth of DOGE to help send the Jamaican team to the 2014 Winter Olympics, according to The Los Angeles Times. You see, if just one person sends a cryptocurrency to another person as a form of payment, it has value. Right now, all cryptocurrency coins have a total $548 billion market cap. And the worldwide blockchain technology market was worth $339.5 million in 2017, according to Statista.com. By 2021, that's expected to skyrocket 592%, to $2.3 billion. That shows us that we're only in the beginning stages of the cryptocurrency revolution. you tantilize us with these cryto recomendations but I don't know where I can buy them. I have coinbase account but I know I can not buy them there. YES, I'd like to know that too!!!! Pls tell me where I can buy these crypto currencies.